Lanracorp has helped our customers build a successful ROW Clearing Program that focuses on long term results, flat line budgeting, and a perfectly maintained Right of Way. Our crew will be your eyes and ears in the field. ROW Clearing, Asset Monitoring, and our other array of ROW Maintenance Services ensure proactive protection for your assets. We allocate dedicated crews and keep the equipment on site to ensure we deliver the highest quality and safety possible. This approach allows us perform maintenance more efficiently than a rotating crew would. Lanracorp is a forward-thinking leader in the pipeline and utility maintenance industries. We believe in a culture of continuous improvement in both our best practices and in safety. 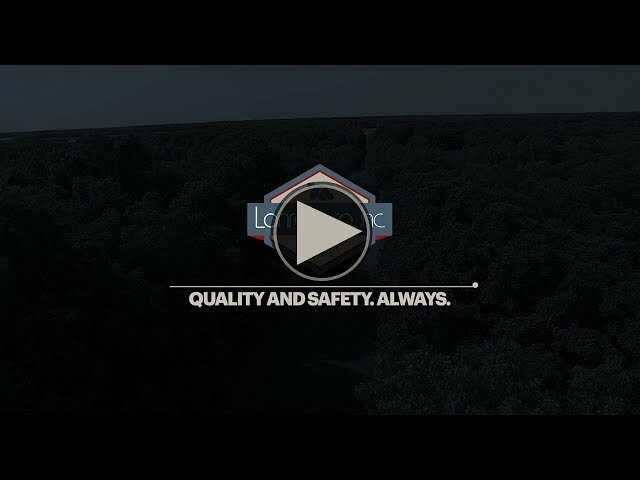 Creating a mindset that good is never good enough and that safety is the ultimate priority has allowed Lanracorp to achieve a tremendous safety record and high customer satisfaction. A dedication to excellence and a willingness to challenge our own procedures has placed Lanracorp as a nationwide contractor. From jobs small to large we handled it, safely, and efficiently. A dedication to excellence and a willingness to challenge our own procedures has placed Lanracorp as a nationwide contractor. From jobs small to large we it handled, safely, and efficiently. Maintaining a brush free ROW with a clear view from ground to sky is important as there is increased scrutiny on maintaining the easement correctly. Lanracorp has helped our customers build a successful ROW Clearing Program that focuses on long term results, flat line budgeting, and a perfectly maintained Right of Way. Land Agents that know the industry and who can help build good public relations are very valuable. Our goal is to provide the customer a point person in the field, someone they can trust to go above and beyond on gathering accurate information while building great landowner relations. The effectiveness of herbicide applications are dependent upon three things: 1) selection of the correct herbicides, 2) timeliness of application, and 3) mother nature. We can control the first two. Using one of the best herbicide mixtures on the market has allowed us to achieve a standard of less than 10% re-spray during the growing season. However, weeds become resistant to the same herbicides applied year after year so each year we evaluate our mix and adjust it slightly. At Lanracorp we try to be proactive, not just reactive. We actively strive to think outside the box in safety and our work methods. This is the Lanracorp difference; this is what make us stand out. Safety Culture, not just a manual. If you want a job done right, thoroughly, and with professionalism - this is your company. Great Contractor! Operates with a dedication to safety and a great customer relationship. Definitely will recommend and refer to colleagues. Always impressed with their crews. Their management team goes the extra mile in reporting and transparency. The reporting of data from the field makes my job much easier! The crew was very professional with landowners and our staff. One of the safest crews we have had on our right of way. New Equipment, great staff, and safe! Safety – we have a ZERO LOST TIME incident rate. We take safety seriously. It’s not just a manual, it’s a culture of safety. Quality – our dedication to a quality job is relentless. Our over 90% customer retention rate speaks volumes for our attention to detail and customer satisfaction. Transparency and Documentation – our land agents or foreman will document our work processes. From detailed weekly reporting including photo documentation, live crew tracking, to a dedicated project manager our every work process is documented and you are kept up-to-date in real time. Company Size – the skills, the experience, and a large fleet. Lanracorp is the perfect size company to get any job done but yet provide the best in customer satisfaction. Efficiency – take advantage of our land agent program and custom built solutions for your long term ROW clearing needs. We excel at planning the work to maximize every dollar spent. Plan work efficiently for the best results. As a result of this commitment we are operating under a zero incident safety record still today. Lanracorp Inc would love to learn more about what you’re looking for. and we’ll be in touch as soon as possible.